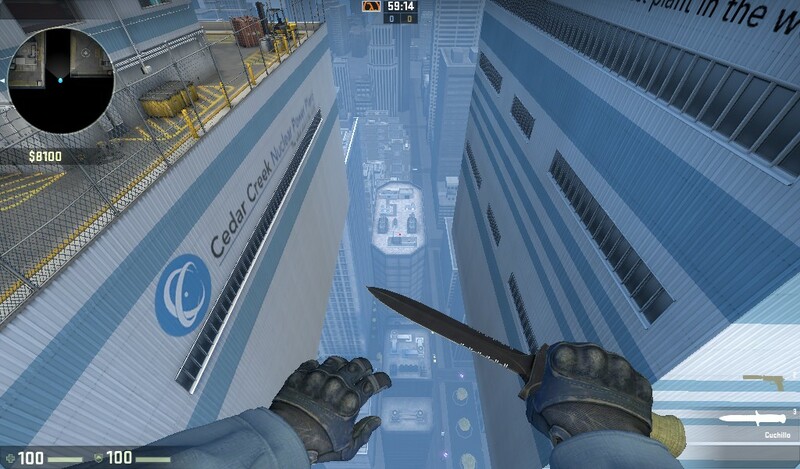 CSGO Atix Panic is a graphical and gameplay-technical update of Atix Panic b3t and b3t_p. Please let me know, if you find bugs/glitches. I am also always looking for usefull feedback, in order to balance the map properly. For more infos about gameplay and technical changes look for the more detailed posts below. Since the spawn is different in this version, you should adapt the Zombie Spawn timer properly. The downlaod includes a cfg with recommended Zombie Spawn values. The current b3t_p port with it´s CSS textures looks seriously outdated and the additional changes with the CSGO port made it even worse. Since the old brushwork was complete crap, I completely rebuild the map in order to improve the technical aswell as the visual part. Even with old or slow PC´s you should still be able to run the map with at least 40-60 FPS. Rounds should slightly last longer than in older versions. Overall the gameplay is still the same with more balanced camp spots. Thanks to Atixium for giving his permission and approving the Rework afterwards. For more details about development or changes, check the link. The map was originally made/updated for the SG-Community. Nice job, You've put a lot of detail on this map. But you can add some clips to make more smooth the map? And you can add some block under the building? Looks unrealistic. Started around April 2016 and released version 1.0 after various pre-versions in December 2016.